It’s important to have a written disaster plan that includes the family pet. Rain or shine, no matter the season, pet owners should be prepared with extra supplies and a plan of action for their pets in the event of an emergency. First, schedule an appointment to talk to your pet’s veterinarian about planning for a disaster. Ensure your pet’s vaccinations are up to date and secure a copy of their medical records. Since you may not be home when an evacuation order is announced, find a trusted friend who is willing to pick your pets up and meet you at a prearranged location. This person should be comfortable with your pets, know where the pets should be, know where your disaster supplies and kits are located and have a key to your home. Share your plan with friends and relatives. If forced to evacuate your home, your pet should NOT be left behind. As the disaster approaches, bring all pets in the house so that you won’t have to search for them if you have to leave in a hurry. Pets are not permitted in Red Cross shelters (except for service dogs for people with special needs). Plan to go to a friend or relative’s home, or a hotel/motel where your pet is welcome. Pet carrier or crate for each pet, sized appropriately so your pet can stand and turn around comfortably. Write your name, address and phone number on the carrier and include additional contact information for someone outside the area. Your pet will probably be disoriented and frightened. Be patient and understanding; the situation is just as traumatic to them as to you. Consult your veterinarian if any behavior or physical problems arise. Be aware of fallen power lines, scattered debris, flooding and misplaced wildlife, all of which can be a danger to your pet. 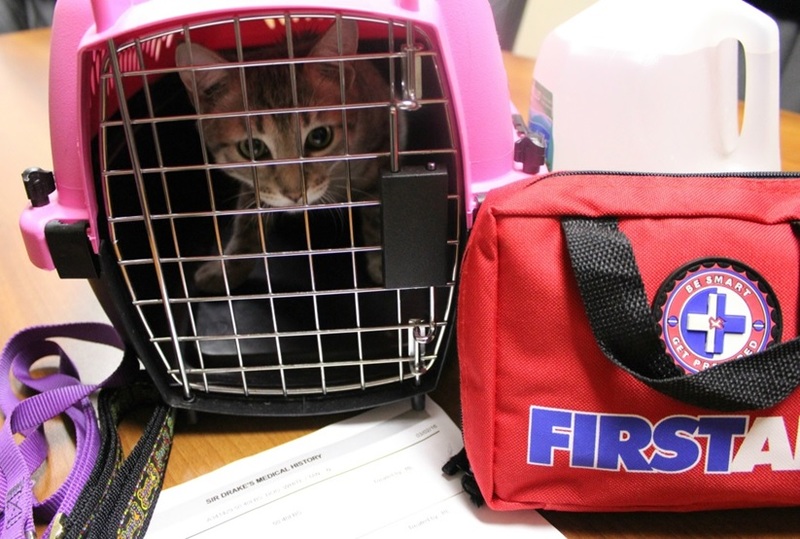 For more information on how to prepare your pet for a disaster, contact your veterinarian and visit www.ocfl.net/preparedpet. Orange County Animal Services is Central Florida’s largest pet rescue and adoption center. Last year, Animal Services received nearly 20,000 animals at its shelter. For more than 40 years, the agency’s mission has been to protect the citizens and animals of Orange County. Its vision is to give abandoned and neglected pets a second chance to live long, healthy lives in safe, loving homes.